For as many as are interested in owning or managing a business in Queensland, whether a new startup or existing business, the city welcomes you all. The Business Innovation and Investment Visa Subclass 188 is a provisional visa, basically offered on a four-year period and state-nominated. The visa is crucial to the Business Innovation and Investment visa that is the subclass 888 Permanent Residency Visa. 1. Business Innovation Visa (188): This is for the category of people interested in owning and managing a business in Queensland, whether new or existing. 2. Business Investor Visa (188): This visa is for the investors of business owner's category, who seek to invest in the Queensland Treasury Corporation Bonds. 3. Significant Investor Visa (188): This is for people who want to make a significant investment in Australia. 4. Premium Investor Visa (188): This is only available upon invitation by the national government of Australia. It is only suitable for potential recipients that have received the nomination from Austrade. The assurance of long-term economic benefit delivery to the country is a requirement here and majorly for highly talented and entrepreneur-minded individuals. For more information, please visit the Austrade website. 5. Entrepreneur Visa (188): This visa is for individuals with innovative businesses and is ready to commercialize it. 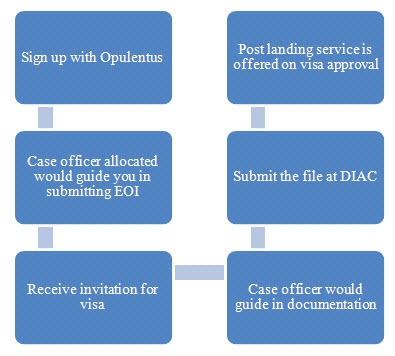 For the Business Innovation and Investment visa (Subclass 188), the Queensland Government manages the state nomination through Business and Skilled Migration Queensland (BSMQ) and collaborating with the DHA of Australia that is the Australian Government's Department of Home Affairs. Applicants for this stream of visa must score a minimum of 65 Points on the visa class points test. Get more information on that from the Subclass 188 points system page. In case you want to extend or renew your 188 visas for Business Innovation and Significant Investor Visa, kindly send an email to BSMQ and state reasons why you want to extend. Certain conditions must be met before this extension is approved. Business Innovation stream Visa Validity - Up to 4 years and 3 months.